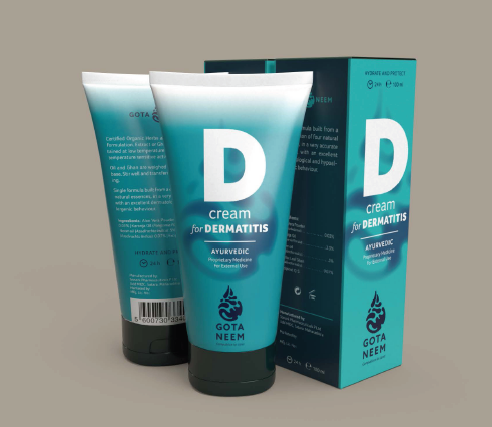 Single formula built from a combination of four natural essences, in a very accurate method, with an excellent dermatological and hypoallergenic behaviour proved as being a very effective moisturizer which helps to reinforce the moisturizer barriers of a very dry, cracked and skin with crusted plaques. Certified Organic Oils and Herbs are used in the formulation. Extract/ Ghan of Nimba Leaf are obtained at low temperature to prevent the loss of temperature sensitive actives. Oils and Extract/Ghan are weighed and added to cream base. Stir well and transferred the cream for filling. It has anti septic, anti fungal, anti inflammatory and anti aging properties. It reduces sun burns. It’s superb for the skin care. It works as an excellent emollient. It has anti septic and anti inflammatory properties. We are very fortunate that God blessed us with Neem. An herb’s ‘rasa’ or taste is often an indication of its medicinal qualities. Neem is perhaps the bitterest herb in the Ayurvedic Pharmacopeia. Neem is the best friend of our largest external organ skin. Neem’s most touted advantage is its effect upon the skin. Neem works wonderfully on all skin related problems. Neem has been used for centuries by Ayurveda to treat all conditions and diseases of the skin. The bitterness of Neem makes it effective in removing congestion caused by Kapha and inflammation caused by Pitta. According to the Ayurveda principles imbalanced Kapha and Pitta doshas causes skin diseases. Neem balances Kapha and Pitta doshas, thus helps to cure the skin diseases. In Ayurveda Neem is considered as a Twacha Rasayan. 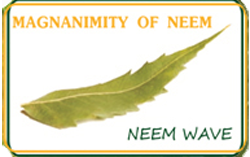 Neem works on and has affinity for liver and blood. 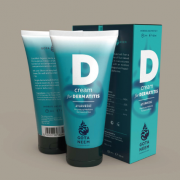 This property makes Neem a great option for skin disorders, especially where a problem is due to Pitta like Eczema, Psoriasis, Rashes, Irritations, Redness and Acne. Apply nicely on the affected skin areas with gentle pressure in circular motion till it gets absorbed in the skin. For the best and faster results apply it twice a day at 12 hours interval. In acute and chronic conditions it should be applied four times a day at the intervals of four hours.